Time to celebrate one of the most glorious years for the silver screen in recent history! While I can appreciate the virtue of “making war feel real,” it’s probably time for the Best Picture race to stop taking that bait (see Hacksaw Ridge in 2016, American Sniper in 2014, Zero Dark Thirty in 2012, The Hurt Locker in 2009, and going back at least as far as Saving Private Ryan in 1998). Dunkirk does something different with its shifting perspective, and I can admire the novelty, but it’s so much less complex than Christopher Nolan’s other work. But hey, it made half a billion dollars worldwide and stands at 93% on Rotten Tomatoes, so if you’re rolling your eyes at me right now, you’re in good company. Ah yes, the other Dunkirk movie. If Nolan gave us too many perspectives on that battle with too little context, Joe Wright delivers an extreme opposite in Darkest Hour. There’s a Where’s Waldo thrill in trying to find Gary Oldman inside Winston Churchill. The whole experience of watching Darkest Hour is forgetting that it’s Oldman, suddenly remembering in astonishment, and then forgetting all over again. It’s pretty incredible, and so is Wright’s visual flair. But Darkest Hour‘s longest minutes grow politically dense… so let’s save this one for Best Actor and Makeup instead. The Shape of Water thrives on its themes and their execution, but not so much on its story, which is extremely watchable but also very familiar (so familiar that the infringement suit against it is pretty laughable… if Paul Zindel’s estate gets a check out of this, maybe they should pass it on Jeanne-Marie Leprince de Beaumont‘s). But it’s gorgeous in every sense. It takes a while for Phantom Thread to manifest itself, but when it does, it’s rich and unnerving enough to scare you into introspection. It’s a thought piece, and those tend to grow in esteem over time. We’ll probably be talking about Phantom Thread for years to come. The Post gets so much out of so little. It’s all internal conflict and restraint, juxtaposed against some of the highest stakes: democracy itself. We tend to think of “movie magic” in terms of special effects and enchanting score, but sometimes it’s as simple as a small story told with a compelling voice. Lady Bird is so authentic, its laughs feel like love. Call Me By Your Name simmers quietly while we do the work to figure out its characters. I love that. And it’s a lovely pot to watch… the photography almost works as a travelogue for northern Italy in the 80s. Chalamet is a breakout. Stuhlbarg’s excellent, as always. Three Billboards isn’t just about violence against women and women’s power to speak out on it — though it is about that, the very same thing this whole awards season is about. Woven into its brilliant screenplay are a dozen other issues in the social periphery too, ranging from the impact of money on free speech to the devastating impact of errant assumptions by the police. Those issues play out in a wildly outlandish series of events, making it a kind of fable for our times. McDormand’s character is one of the great heroines of contemporary cinema. 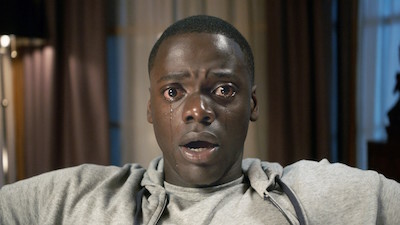 Get Out is so momentous and meaningful, denying it Best Picture feels almost like an interruption to a conversation we’re still having. Harvey Weinstein’s distant involvement was no reason to exclude a brilliant and potentially seismic movie like Wind River from the Oscar race. At a bare minimum, it should have competed for Best Picture and Best Actress… probably Best Actor and Original Screenplay too. The other big and inexplicable shut-out this year, and my personal favorite from 2017, is The Florida Project. I am so deeply disappointed by its absence in the Best Picture race, not to mention Best Original Screenplay. (Yes, it’s scripted. I fear too many voters assumed it’s improvised, but then that’s ultimately a credit to the incredible talent of Sean Baker and Chris Bergoch.) Surely, if there’d been a 10th BP nominee, this would have been it. My own personal Best Picture list would also have included Blade Runner 2049, Star Wars: Episode VIII — The Last Jedi, The Big Sick, and Logan. Whoops. Logan and Logan Lucky ended up on the same line when I was listing movies, so I left out the former by mistake. Beauty and the Beast should have had at least one Best Original Song nomination, probably for “Evermore” or “Days in the Sun.” But maybe we have unnecessary auto-tuning and Emma Watson’s vocal… abilities… to blame. Finally, allow me to lament The Lego Batman Movie‘s omission from the Best Animated Feature Race. Is there really a single Oscar voter who thinks Boss Baby is more award-worthy? 2. Lego Ninjago was also eligible, so I guess that might’ve split votes. The first item (before the slash) is my personal preference among those nominated in each category. The second item (after the slash) is my prediction for what will actually win. In 2014, I correctly picked 20 out of 24. In 2015, only 16. In 2016, 15. Last year, down to 14. Can I reverse this trend!? This season is less predictable than most, so anything could happen. UPDATE: I correctly predicted 16 out of 24 for 2018… far from my best, but it’s a step in the right direction! The 90th Annual Academy Awards air live this Sunday, March 4, at 8:00 p.m Eastern Time (5:00 Pacific) on ABC. 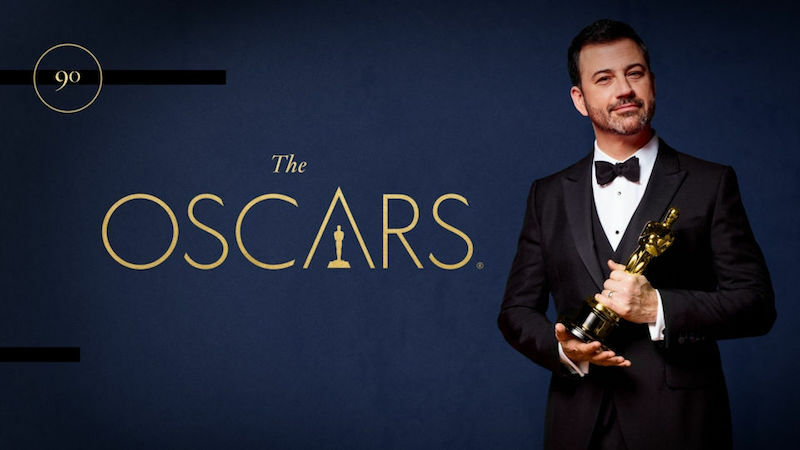 Visit the official Oscar website here and get your own ballot!